Task automation allows to save time and simplify many of the computing processes. To do this, we have specialized applications like RoboTask. 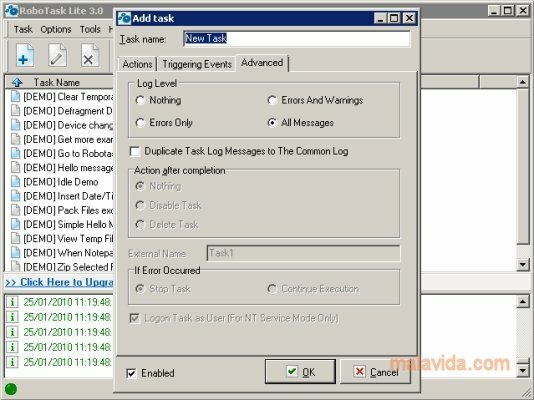 RoboTask is a task planner that automatically launches the processes that have been programed by the user, through a simple interface. This application is capable of carrying out from the most simple tasks, like opening documents, to the most complex ones, like for example, uploading files to a server. 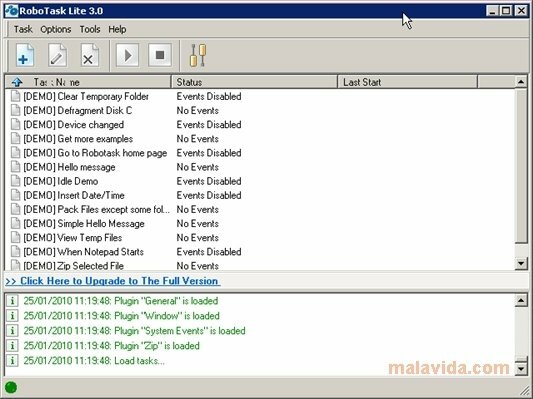 To make using it easier, this application provides many example tasks, that we can check and use from the main program window. The task creation process basically consists in two steps: first we have to generate a list of the actions that it has to perform, and after that indicate the events that will activate the execution of each action. Another important detail to take into account when generating new automatic processes, is that we can use more than 60 system variables. If you want to have more time at your disposal for other activities, use RoboTask to automate the routine processes that you use each day.